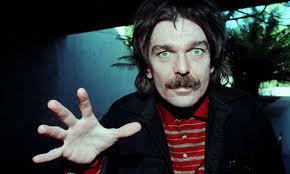 In the spirit of the Zappadan Festival, in which we celebrate each year the life and music of Frank Zappa from the date of his death to the date of his birth, I propose we do the same for Don Van Vliet. Fans need no introduction, others can read the extensive Wikipedia entry. My own experience with his genius is this. Although I was born in 1953, and experienced the music and culture of the 60s and 70s like everybody else of my generation, I somehow never got into Zappa or Beefheart. My friends and I were into other things, Jimi, Janice, The Doors and a little bit later, The Yes Group and Queen. 35 years passed in the blink of an eye and one day in 2009 I discovered the Zappadan Festival. That prompted a full immersion in the many albums of FZ, which as everyone knows can keep one very busy for a very long time. Naturally this activity led me to Captain Beefheart. I've never been the same since, music appreciation-wise. Notice the dates are off, and so it will be this year. The Captain would probably approve, in the same way he couldn't stand pop music with a 4/4 beat, he'd probably like this delayed start. Also, later this year, there will be a slight overlap between the Zappadan Festival, which runs from December 4th through the 21st and the Captain Beefheart Festival which will go from December 17th to January 15th, a slight but appropriate overlap like their lives and careers. Hopefully no Zappadan purists will object, I see it as a smooth and natural transition which could take us into the new year. Well, here we go, let's say till the end of the month. Then in December we'll really take off.